The SCAPTA Facility of the Year award nominations have been narrowed down to five clinics. Thank you to all of the facilities that took the time to submit an application. It shows your enthusiasm and adoration for your clinic! Throughout this month, SCAPTA will highlight the top choices through this newsletter and on social media. 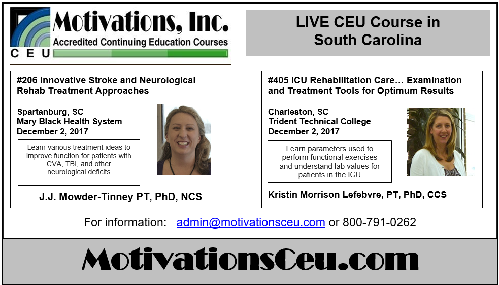 Today's highlight is Premier Physical Therapy from Charleston, SC! By reading their application, you can tell they have a heart to serve their community and their passion for their patients is notable. 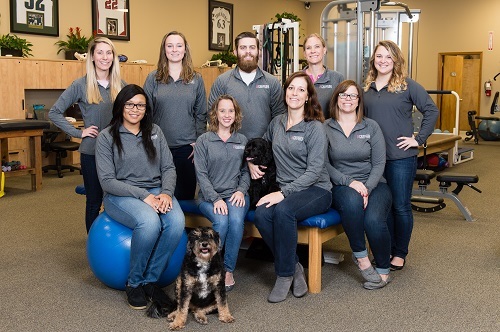 "(We) take pride in being a privately owned, faith based facility that offers physical therapy, aquatic therapy, and strength and mobility training." Their facility is impressive and the staff is genuine. Congratulations Premier Physical Therapy for being one of the top five! Check them out at http://premierphysicaltherapy.us/. In September, the APTA Federal Affairs Liaison Committee discussed recent regulatory updates, congressional updates, and the results of Flash Action Strategy 2017. Important regulatory updates include: CMS has withdrawn the Establishment of Special Payment Provisions and Requirements for Qualified Practitioners and Qualified Suppliers of Prosthetics and Custom-Fabricated Orthotics proposed rule, effective August 1, 2017; APTA will submit comments to MACPAC and MedPAC on benefits of physical therapists furnishing telehealth services to patients. APTA has been working closely with the staff from the House Ways and Means, Energy and Commerce Committees, and the Senate Finance Committee on language that would provide a permanent fix to the therapy caps. The therapy cap exceptions process will expire on December 31, 2017 unless Congress acts. There has been progress on efforts to include physical therapist assistants as a provider under TRICARE. Both the House and the Senate have recommended exploring the feasibility of adding PTAs as providers. The student-led advocacy campaign for Flash Action Strategy on September 12-13. 2017 focused on repeal of the Medicare Therapy Cap. More than 3,000 individuals participated in the campaign resulting in 10,927 actions (emails, faxes, letters). To become a key contact to a US Senator or Representative or to host an event, contact SCAPTA Federal Affairs Liaison Cathy Arnot at arnot@mailbox.sc.edu or send a message to our office at southcarolina@apta.org and follow us on Twitter, Facebook, and Instagram @SCAPTA1.